We have been advised by RAF Brize Norton that the Repatriation of Lt Steven Clark, UK MCC Bahrain Royal Navy will take place on Tuesday 18th December 2018. Norton Way will be closed from approx. 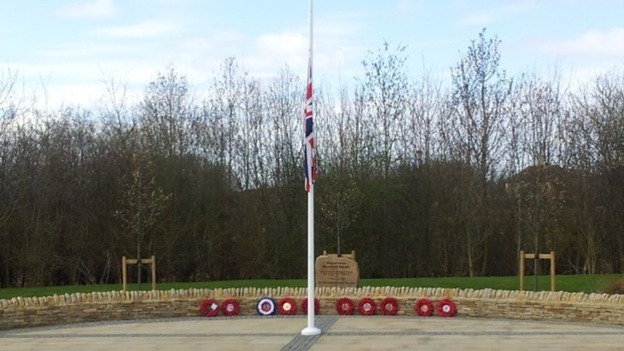 1.30pm, whilst Station Road, Brize Norton, will be closed for approximately 10 minutes once the cortege leaves Britannia Gate at RAF Brize Norton. There will be road closures in place at the Marston Ferry Road / Cherwell Drive Junction, Marston Road / Cherwell Drive Junction, and at the mini roundabout by the entrance to the John Radcliffe Hospital. Please expect severe delays in this area whilst the road closures are in operation. The weather forecast for Tuesday is expected to be heavy rain with a fresh breeze. Riders Branch RV is the Sports Pavillion just up from the Memorial Garden, Norton Way, at around 14:00hrs to14:30hrs, This gives us enough time, & in case the Repatriation runs early, to move en masse to the Memorial Garden flag pole. If times are right when released. The RV is chosen for those who wish to Stand along side the Fallens Families, Their Friends, Their Comrades, & those of us from the General Public who may wish to show our Respects & our Support.